Four new members will be inducted to the US Lacrosse LA Hall of Fame on Thursday, June 14, at a ceremonial dinner at The Mark in Los Angeles with University of Notre Dame head coach Kevin Corrigan as the keynote speaker. Former Harvard Westlake head coach Alex Weber will serve as master of ceremonies. Tickets for the dinner, as well as sponsorship opportunities, are available via the chapter’s Hall of Fame Dinner website. This year’s US Lacrosse LA Hall of Fame class includes Geoff Sebold, currently director of lacrosse at Oaks Christian School; Mike Allan, currently head coach at UC Santa Barbara; Joan Russell, former member of the US Lacrosse Greater LA Chapter Board; and Mitch Fenton, past president of the US Lacrosse chapters in San Diego, Orange County and Greater Los Angeles. 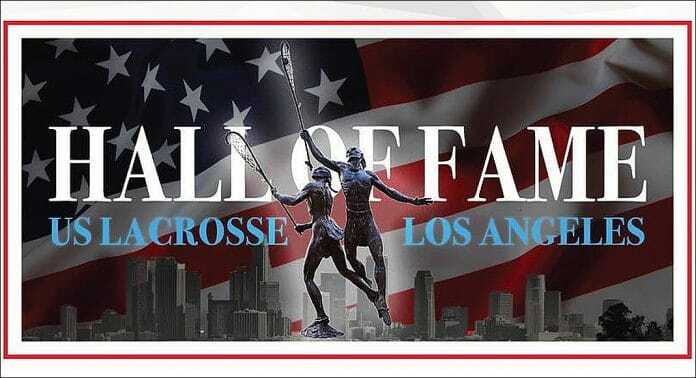 For more information on each of the honorees, visit the US Lacrosse LA Hall of Fame website. Corrigan just completed his 30th season on the Fighting Irish sideline, leading ND to a 9-6 overall record, the ACC championship and a berth in the NCAA Tournament. He is the longest active tenured coach in men’s lacrosse at the Division I level. In addition to delivering the keynote address at the June 14 Hall of Fame dinner, Corrigan will host an invitation-only Q&A with Southern California lacrosse coaches the night before, Wednesday, June 13, at Mira Costa HS (5 p.m. to 6:30 p.m.). Cost to attend the Q&A session is $20. Interested coaches should email US Lacrosse LA chapter president Aaron Karsh at [email protected]. Two years ago, the LA chapter inducted Charlie Meister, Suzette Soboti, Ryland Huyghue and Tarik Ergin at a dinner at The Mark, with former Syracuse All-American and current ESPN commentator Paul Carcatera delivering the keynote address.